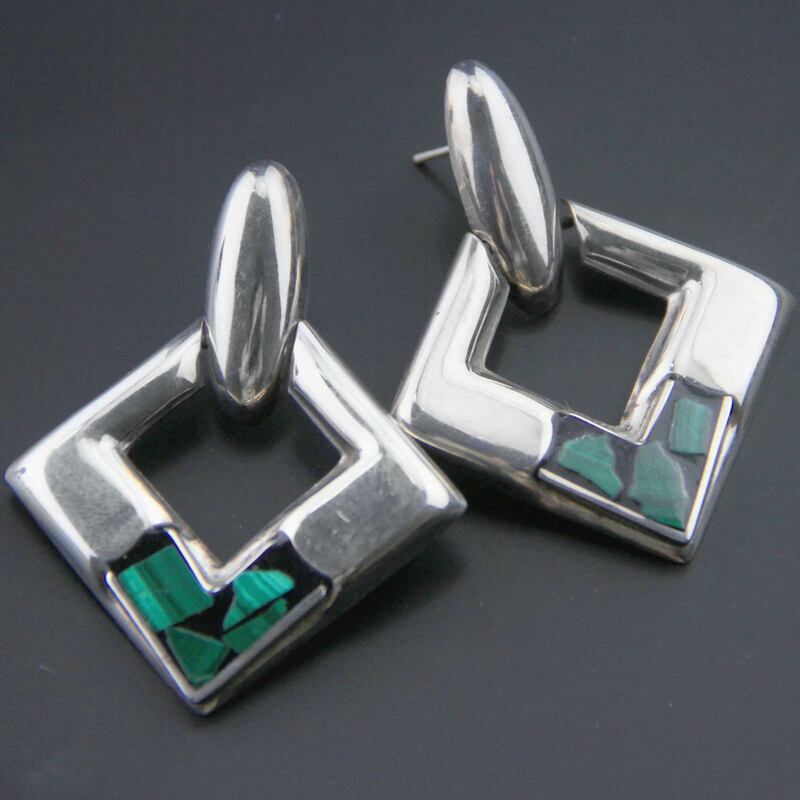 Vintage sterling silver, large malachite statement earrings. 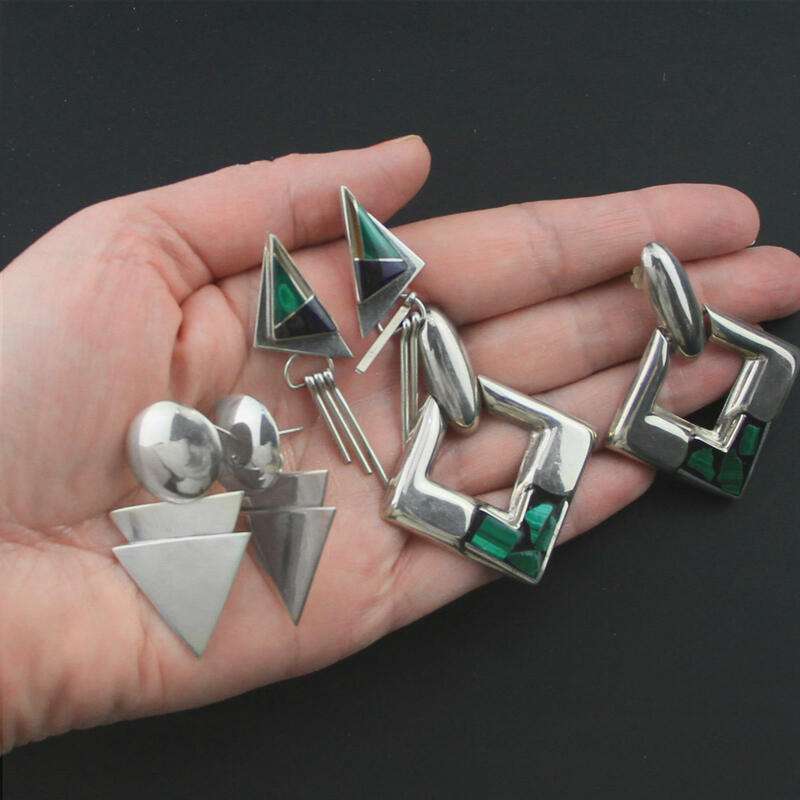 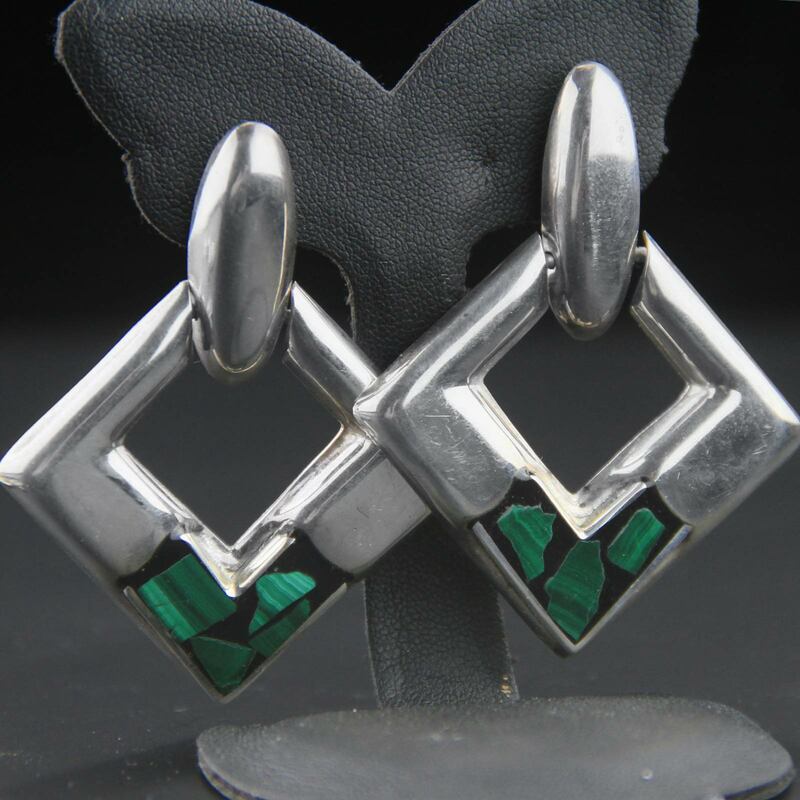 Handmade in Taxco, Mexico c1980s these are a large diamond shaped earring with articulated stud top and malachite chip inlay. 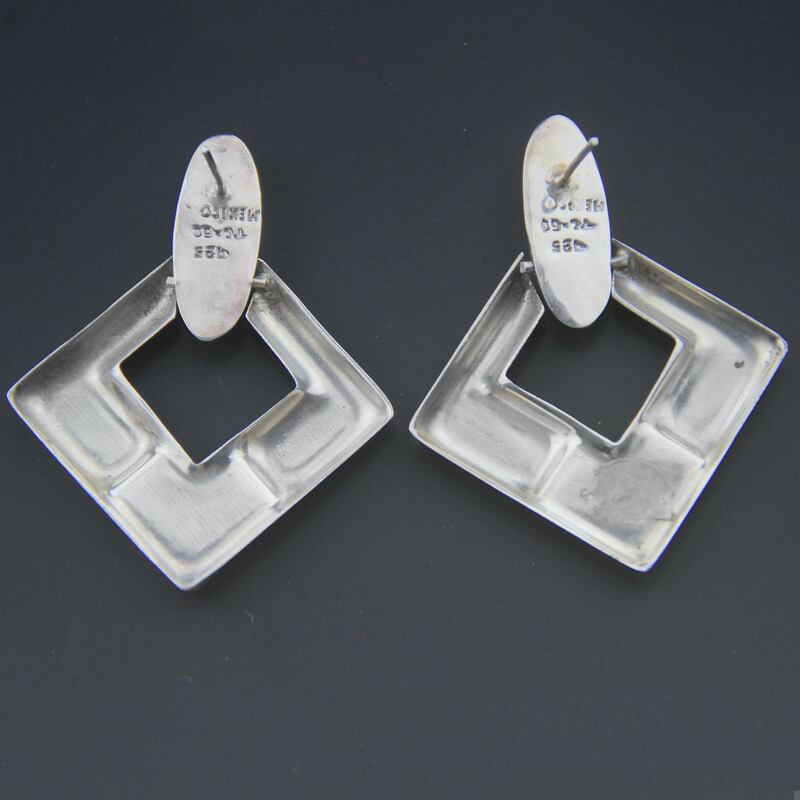 Large but hollow backed so they are light enough to wear, great 80s statement earrings.